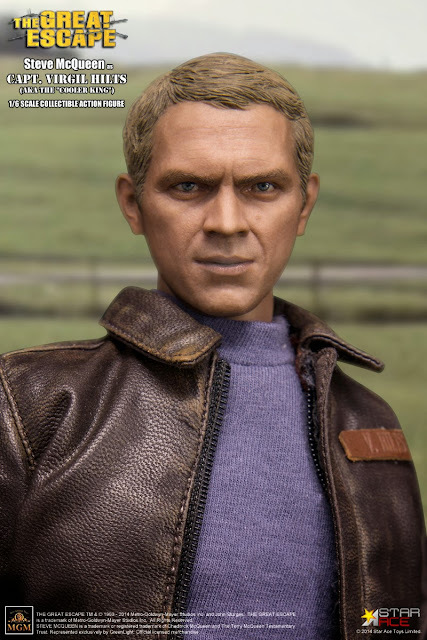 toyhaven: STAR ACE 1/6 scale Steve McQueen as Captain Virgil Hilts as seen in "The Great Escape (1963)"
STAR ACE 1/6 scale Steve McQueen as Captain Virgil Hilts as seen in "The Great Escape (1963)"
The Great Escape is a 1963 American film about an escape by Allied prisoners of war from a German POW camp during World War II, starring Steve McQueen, James Garner and Richard Attenborough. The film is based on the book of the same name by Paul Brickhill, a non-fiction first-hand account of the mass escape from Stalag Luft III in Sagan (now Żagań, Poland), in the province of Lower Silesia, Nazi Germany. The characters are based on real men, and in some cases are composites of several men. 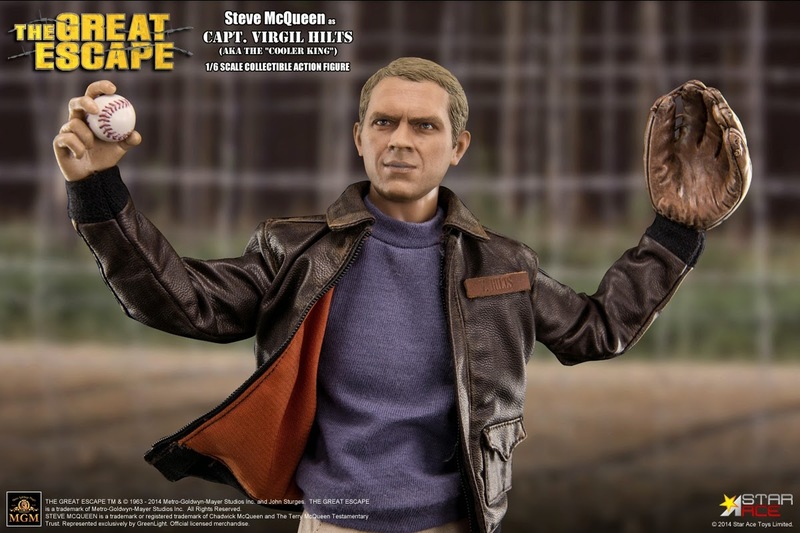 Steve McQueen plays Captain Virgil Hilts, the "Cooler King", who has already made 17 escape attempts: during the film he makes four more - as the Commandant says, "close to insanity". Hilts - he doesn't like 'Virgil', too classical and erudite a name for this all-action fellow - is individualist, insolent, and indefatigable. Captain Virgil Hilts was actually based on David M. Jones (December 18, 1913 – November 25, 2008), a United States Air Force pilot who served with distinction during World War II. 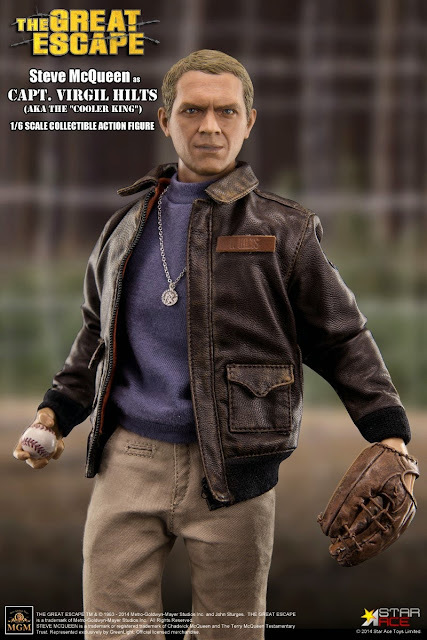 He was one of the Doolittle Raiders whose exploits in April 1942 were dramatized in the film Thirty Seconds Over Tokyo. 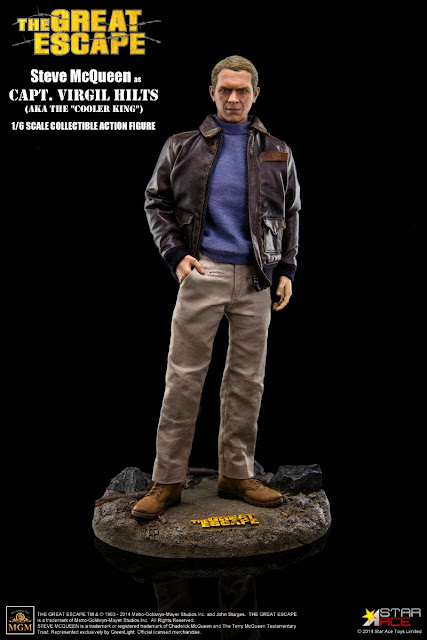 He then flew combat missions over North Africa, where he was shot down. 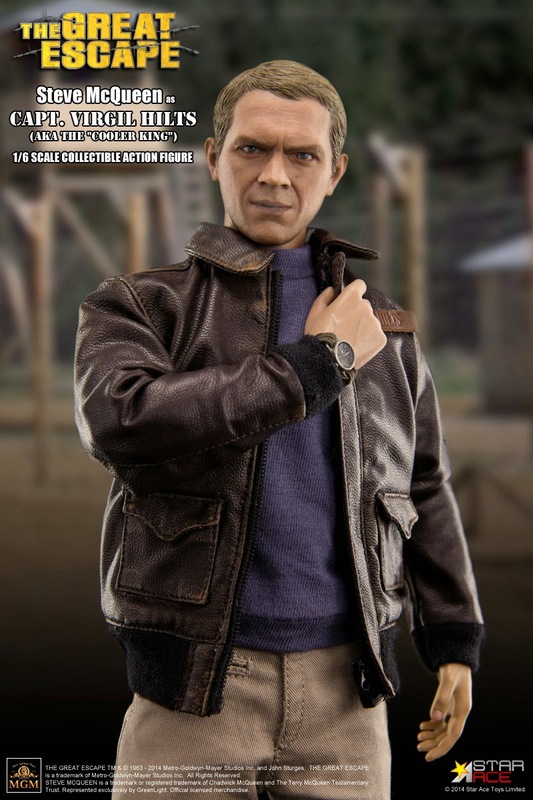 He was a German prisoner of war for two and a half years — helping with the escape attempt described in the book and film. 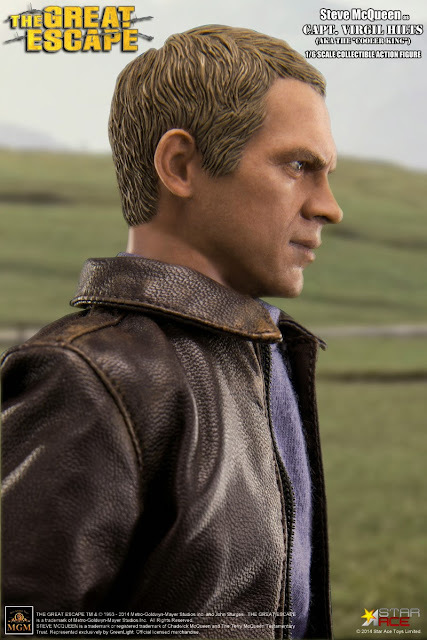 STAR ACE 1/6th scale Steve McQueen (Capt. 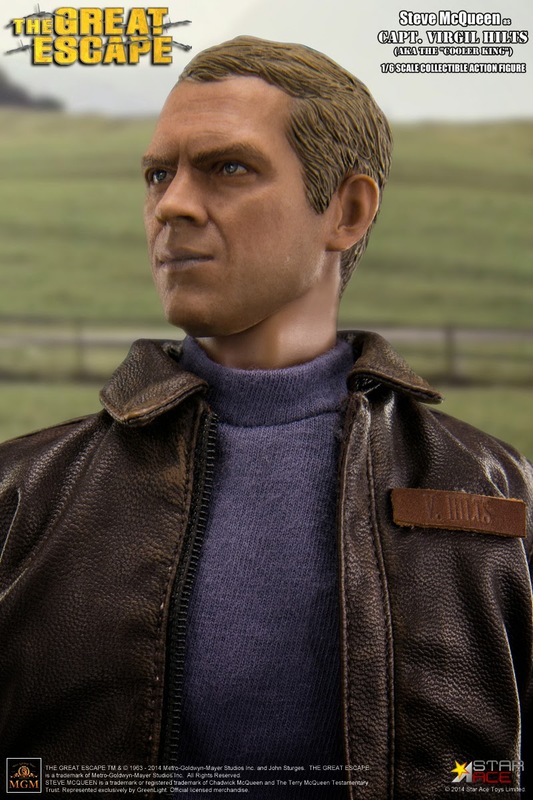 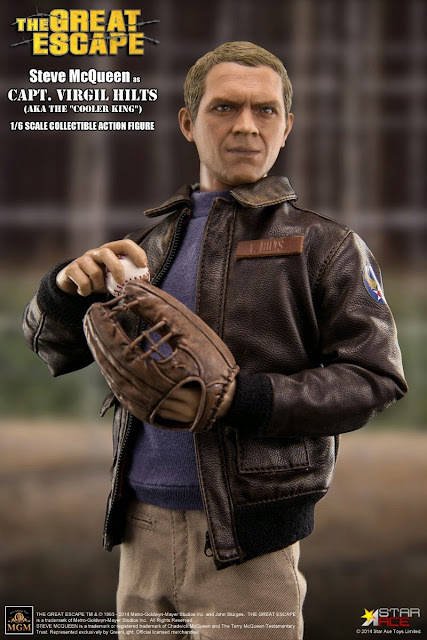 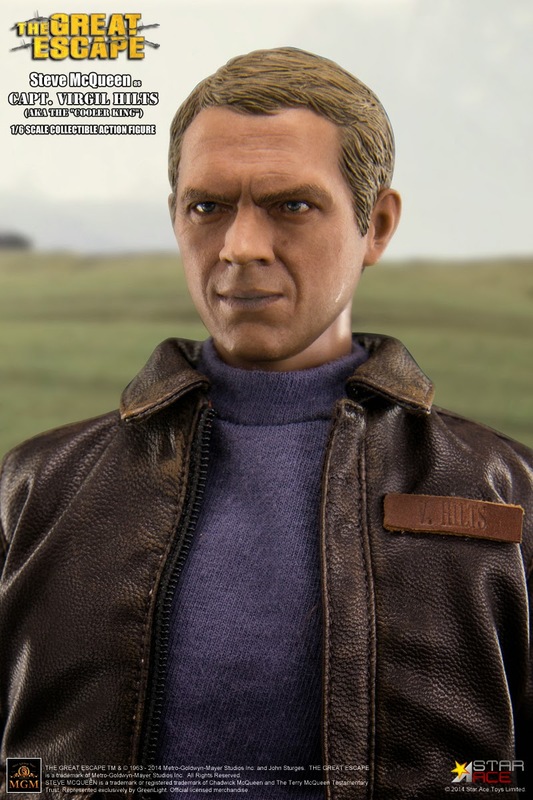 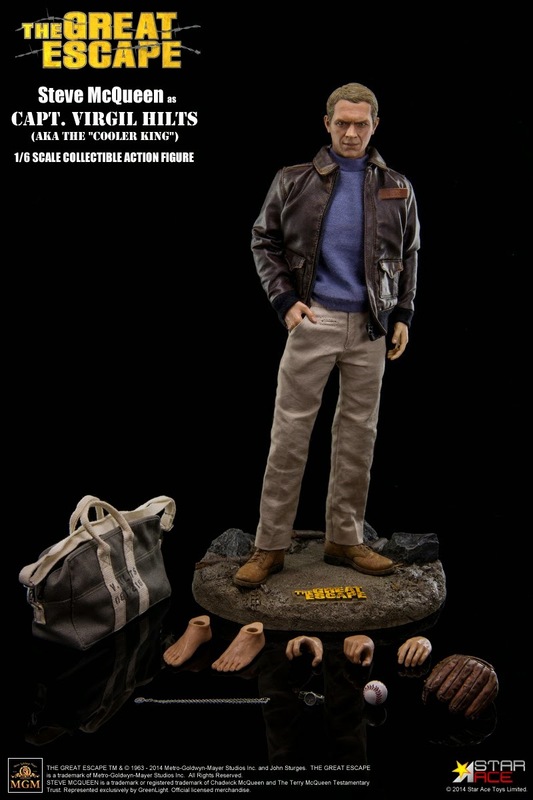 Virgil Hilts) collectible figure specially features: authentic and detailed 1/6th scale head sculpt with fully realized likeness of Steve McQueen as Capt. 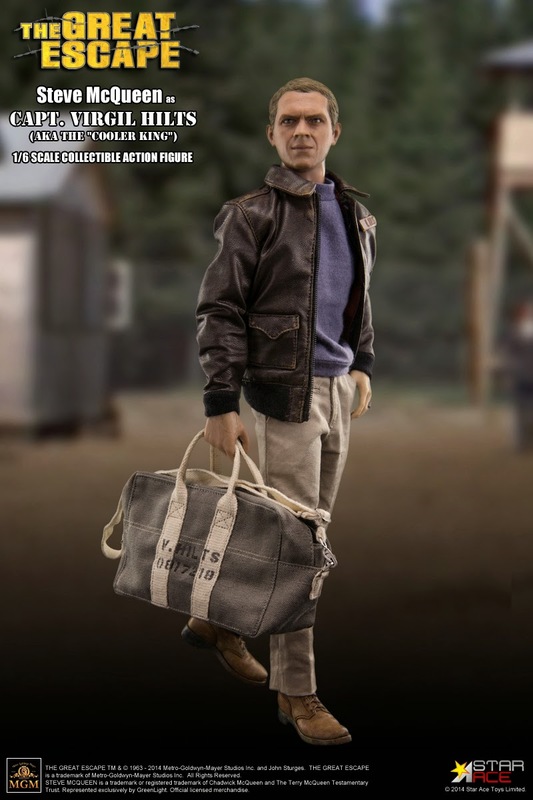 Virgil Hilts in “The Great Escape” (1963) movie including accurate facial expression with detailed skin texture (each piece of head sculpt is specially hand-painted), approximately 30 cm tall body with articulations, four (4) pieces of interchangeable hands including: one (1) pair of open hands, one (1) right hand for catching baseball, one (1) right hand for carrying bag. 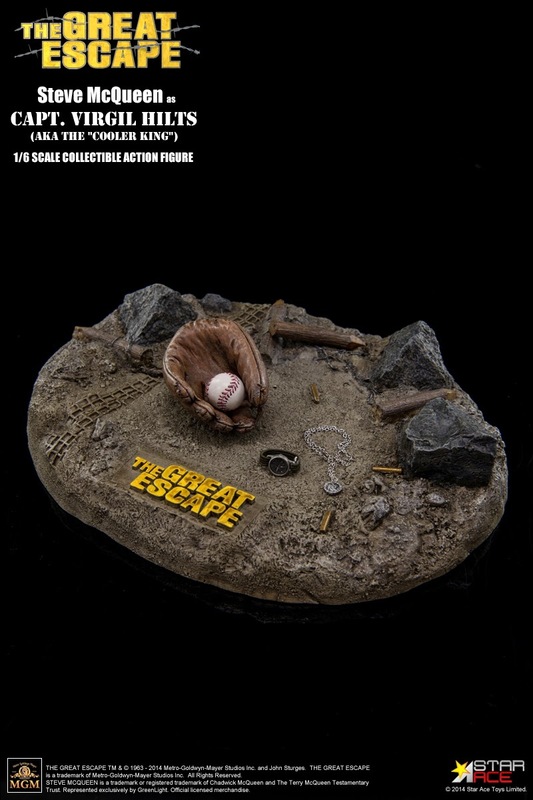 Is there any way you can find this in SG?